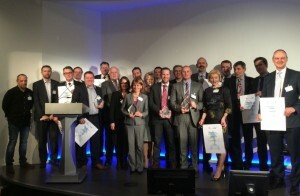 I am still euphoric about the success of the Defence Science and Technology Laboratory (Dstl) at the The Way We Work (TW3) Awards. I joined our Dstl office modernisation project soon after it began, so being among the team receiving the Corporate Leadership Award from Bruce Mann, the Cabinet Office Finance Director, was a genuinely gratifying honour. Dstl’s Smart Working project is transforming how we work across our 4 sites – Porton Down, Fort Halstead, Portsdown and Alverstoke. 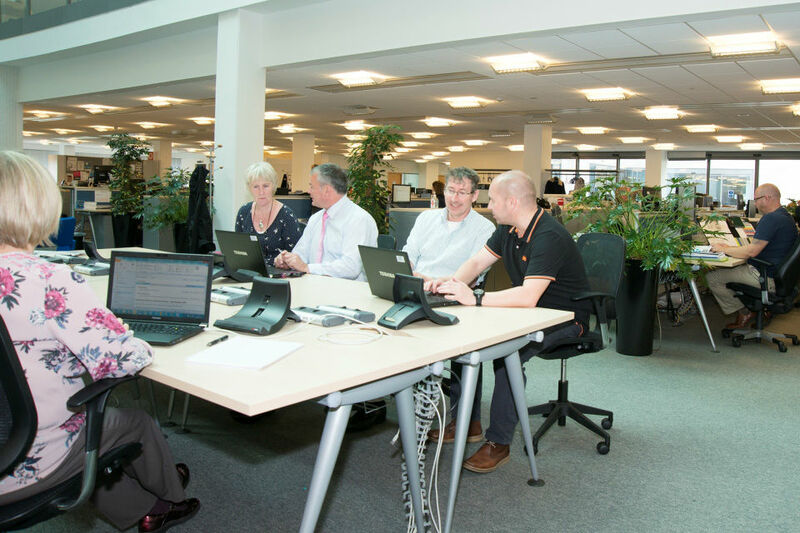 It is enabling our staff, customers and suppliers to make more effective use of office space, including making it easier to work from home. In the pictures below, you’ll note laptops and the absence of paperwork, pedestals and desk-dividers. That wasn’t staged for the camera. It is the reality. As a team we set out by identifying physical changes to the working environment, focusing on cost savings and better use of the estate. We soon realised that our thinking was constrained by traditional views of office use. Conspicuously absent from our decision-making were Dstl’s most valuable assets – its people. And to quote Simon Morys’ (from his blog ‘Where do I put my cornflakes?’), it’s all about changing how we think about work. Guided by TW3 principles, we turned what began as an estate-focused project into a really positive ‘people experience’. We invested more effort in the ‘softer’ issues, such as culture, empowerment and trust, realising that it would leave Dstl better prepared for any future change initiatives. We also invested more time with key stakeholders, especially the senior leadership, sharing our long-term vision and challenging traditional views. In short, we wanted Smart Working planted at the very heart of Dstl corporate culture and decision-making. Recently, the Secretary of State emphasised the need for Defence ‘to take out unnecessary cost, to improve productivity, to sweat our assets so that we can better support the frontline’. 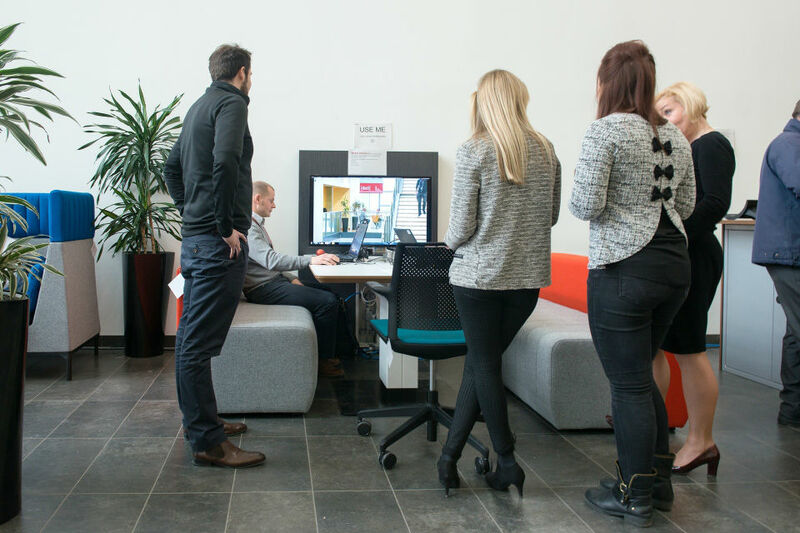 But it’s not just about savings – we anticipate that Smart Working will also improve our employee engagement. We believe Smart Working is already helping Dstl recruit and retain people with the highly specialised skills it needs, and giving them a better work-life balance. Our staff have greater choice in how and where they work, underpinned by a sense of empowerment and trust. It is a real strength that members of the senior leadership team have become early, visible and passionate adopters of these new ways of working, to become more effective leaders. Find out more about TW3 in Defence here.